Manila, Philippines – The Members Church of God International (MCGI) recently added to its 24/7 broadcast service family the launch of MCGI Broadcast App for iOS and Android mobile and tablet devices. Viewers can now watch using the app the Philippines’ longest-running religious program Ang Dating Daan and its foreign versions – including The Old Path, O Caminho Antigo and El Camino Antiguo, in English, Portuguese and Spanish languages, respectively. 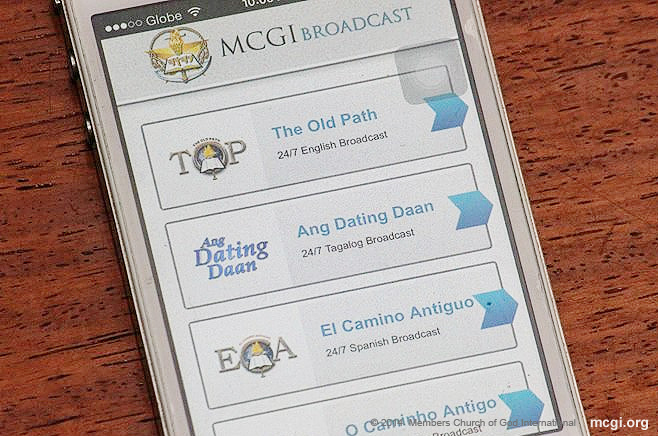 MCGI’s flaghsip program, The Old Path, can be watched in Filipino, English, Portuguese and Spanish via the MCGI Broadcast App for iOS and Android users. To watch the religious program using the free-to-download app, users must have Internet connection in their device. 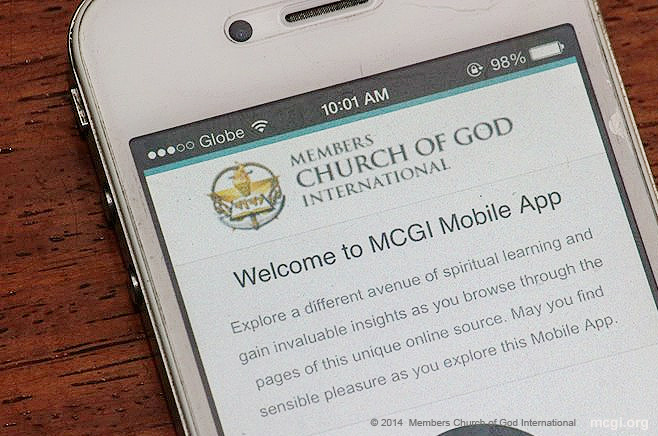 Satisfied Android and Apple smartphone users of the MCGI took to social networking websites their appreciation of the streaming app. Android user Arnold Camay Cabatana reviewed the app and said, “Maayong pagkahimo aplikasyon undanon nga programa ug puno sa impormasyon … very excellent work, to GOD be the Glory!” (The application was excellently done, the program is full of information … very excellent work, to GOD be the Glory!). 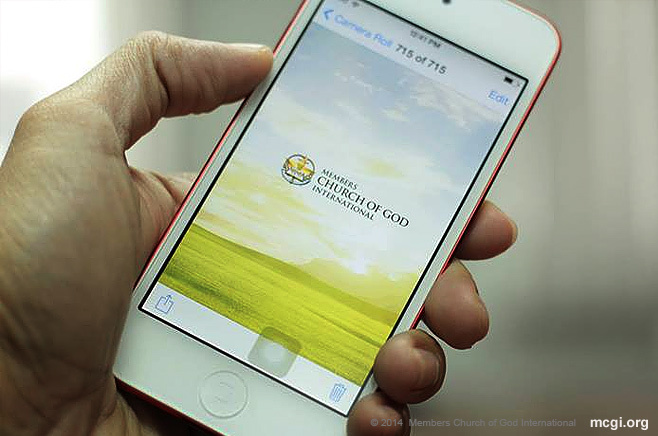 The MCGI App launched in January 2013 where mobile users can join the 24/7 Community Prayer online. “At last, I can now watch The Old Path anytime, anywhere.” said Joel Caratihan, an iOS device user. “Convenient, very handy to watch Bro Eli’s broadcast on mobile phones,” said user Imd052300 said of the app. Both the MCGI and MCGI Broadcast Apps can be downloaded for free via the App Store and Google Play.